The countdown for the July 6 crunch tie between home based Super Eagles and their Cote D’Ivoire counterparts continued on Thursday with the technical crew of the national team tinkering a bit with the squad for the encounter. Team Secretary, Dayo Enebi Achor, was quoted by Media Officer Ben Alaiya, as saying that Akwa United star Ezekiel Mbah has been invited to replace Ranchers Bees Samson Pius by the Stephen Keshi led technical crew of the national team. The decision was tagged strategic by the technical crew, as arrival date in camp remains this Sunday, June 30th at the Bolton White Apartment, Zone 7 in the Federal Capital City, Abuja. All Players have been asked to come to camp with their international passports so as to facilitate the trip to Abidjan for the return leg of the encounter. The first leg encounter has already been scheduled for the Ahmadu Bello Stadium in the sprawling city of Kaduna in Northern Nigeria. Nigeria’s Flying Eagles coach John Obuh has praised Olanrewaju Kayode, whose match winner propelled his team to the Round of 16 of the U20 World Cup on Thursday. Kayode has been harshly criticised for throwing away several begging chances in previous games but he finally delivered against South Korea at the Ali Sami Arena in Istanbul with a ninth minute headed winner to book Nigeria an automatic ticket to the knockout of the tournament. “Kayode has worked really hard for this team getting many of our assists here and he just needed to score a goal and I’m happy he did just that today,” said coach Obuh. Obuh said he was also satisfied with his team’s performance even though they could have long killed off this game as they dominated and created the better chances against the Asian champions. “We made one or two mistakes but overall I’m okay with our performance,” he said. Korea coach Kwang Jong Lee conceded his team found it tough going against the individually talented and fast Nigerians. “It was a tough match against individually gifted and fast Nigerian team,” he admitted. “Our players found it difficult to penetrate the Nigerian defence and as a result we did not create any chances in the first half. 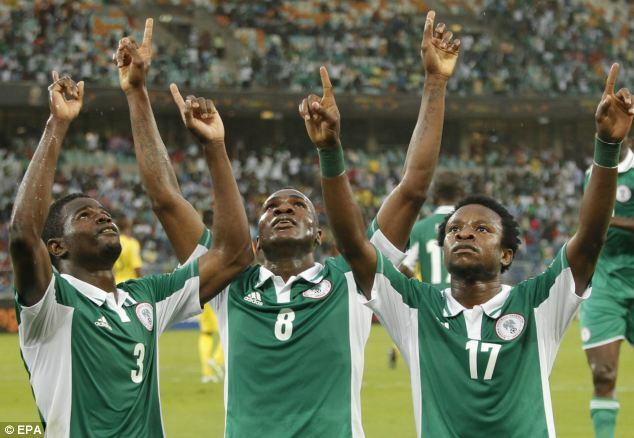 Nigeria became the first African team to qualify to the Round of 16 at Turkey 2013 after they finished second in Group B with six points behind seven-point Portugal, who defeated Cuba 5-0 in the other match of the group. Kayode put Nigeria ahead when he headed home a free kick from the left by skipper Abduljaleel Ajagun after nine minutes. Defender Wilfred Ndidi came close with header after 15 minutes off a corner and moments later Kayode’s shot missed narrowly after he was put through on goal by Michael Olaitan. Shehu Abdullahi also missed with a header inside the box after 32 minutes and minutes later Kayode turned sharply inside the box, but his effort missed target. 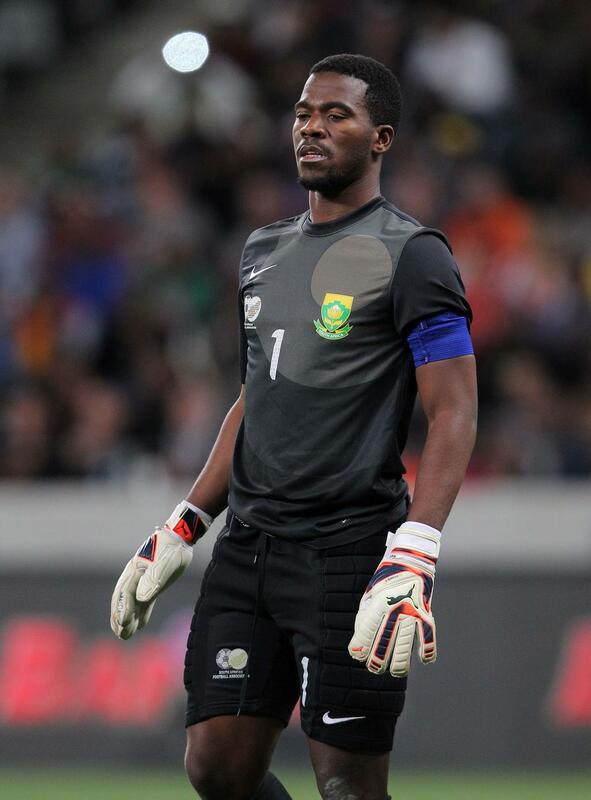 In the 54th minute Nigeria goalkeeper Samuel Okani had to dive to stop Sunggyu Han right inside his goal area. Nigeria continued to dominate the game, but failed to put away the chances they have created. Kayode then forced goalkeeper Changgeun Lee to make a big save after 73 minutes and seven minutes later, substitute Samuel Eduok saw his effort from the left crash against the side netting. Samuel Okani – Shehu Abdullahi, Kingsley Madu, Wilfred Ndidi, Ikechukwu Okorie – Ovbokha Agboyi, Michael Olaitan, Abduljaleel Ajagun – Kayode Olanrewaju (Edafe Egbedi 90), Alhaji Gero, Umar Aminu (Samuel Eduok 59). The remains of the Assistant Coach of the U-20 Women National Team, Falconets, Mr. Chris Nwaehi, who died in Lagos on April 29, will be interred in his home town, Umuegbe, Osuh Achara in Isiala Mbano local government area of Imo State on Friday, June 28. Nwaehi died suddenly on Monday, April 29, hours after being turned back from the Murtala Muhammed International Airport for being too ill to travel. He was on his way to his base in Spain. Nwaehi, alongside former Super Falcons’ captain Florence Omagbemi, assisted Coach Edwin Okon to steer the Falconets to fourth place and global adulation at the FIFA U-20 Women’s World Cup finals in Japan last year. In a condolence message to the family signed by NFF General Secretary, Barrister Musa Amadu, the NFF deeply mourned the passing of the young coach and prayed for the repose of his gentle soul. himself with absolute dignity and pursued excellence in his chosen career, with every sense of responsibility and uncommon professionalism. Family members on Thursday acknowledged the Nigeria Football Federation’s support towards the burial programme. The NFF on Thursday received correspondence from the office of the General Secretary of Federation Ivoirienne de Football, confirming that the delegation would arrive the Murtala Muhammed International Airport aboard an Asky Airline flight at about 6.40pm on July 3. The 2011 finals in Sudan also held without Nigeria, eliminated by Niger Republic, and was won by Tunisia. Saturday’s confrontation at the Ahmadu Bello Stadium will be the first meeting at senior level between both nations since Nigeria eliminated tournament favourites Cote d’Ivoire in the quarter finals of the Africa Cup of Nations finals in South Africa earlier in the year. Match-winner Sunday Mba is in Nigeria’s 24-man squad. The Ivorians will depart Nigeria through Lagos on Sunday, less than 24 hours after the encounter. 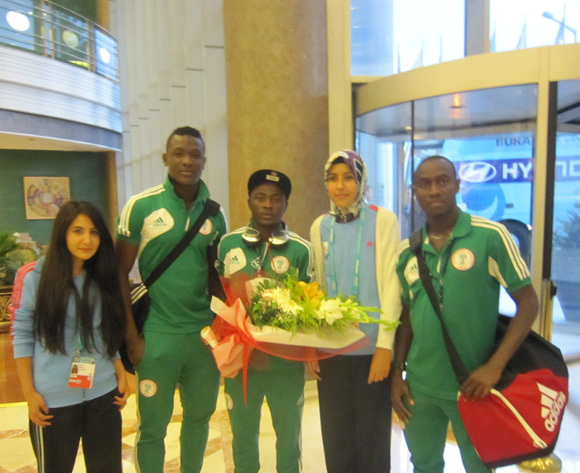 Nigeria’s Flying Eagles have reunited with their 2011 conquerors France at the Renaissance Polat Hotel in Istanbul. France stopped Nigeria 3-2 after extra time in the quarterfinals of the 2011 World Cup in Cali, Colombia. Some of the players and officials of the Flying Eagles have already met with Juventus youngster and France star attraction Paul Pogba, who former France and Arsenal ace Patrick Vieira has said he is better than he was at that age. France take on high-flying Spain to determine the winners of Group A immediately after the Nigeria match on Thursday. The Flying Eagles flew into Istanbul Tuesday afternoon after Thursday’s foes South Korea had departed Kayseri earlier. They will train at 6.30 pm local time on Tuesday at a training ground 20 minutes bus ride from their hotel. Coach John Obuh and a player will also address a pre-match press conference at Adana Hall of the Renaissance Hotel. The Flying Eagles play their final Group B match against Korea by 6pm on Thursday. Portugal lead Group B with four points, same as second-placed South Korea. Nigeria are third on three points, while Cuba are yet to record any points. The Flying Eagles will hope to win on Thursday so as to gain automatic qualification to the Round of 16, but they could also sneak in via the ‘third best loser’ option.